Just like in any trade, different tools are good at different things. We find security software tools and cloud based services that work well together, compliment each other and provide strength in layers. Security has and will always be about layers. Our recommendation for layered security software is grounded in the knowledge that computers are vulnerable not only to virus and malware attacks, but also system failures, disasters and theft. For quality control all licenses are processed manually. Please allow 1 full business day to receive license details. 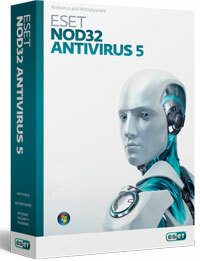 ESET NOD32 has unparalleled proactive protection – critical for today and tomorrow's threats. This solution has never missed a virus in the wild in the Virus Bulletin tests. Over 14 years and counting! It has received the most 100% Virus Bulletin Awards of any Antivirus software vendor in the world. Does not interfere with your other computing tasks. Provides protection from today’s threats – of course. Blocks unauthorized changes to your programs. Uses Cloud based identification of good programs. Gamer\Presentation Mode so your machine performs at full-tilt boogie. Free Internet Security Training – Share this with your family & Friends!